Our skin is covered in hair follicles. In a healthy hair follicle the sebaceous gland produces a small amount of sebum, which moves up to the surface of the skin where it acts as a waterproofing agent. 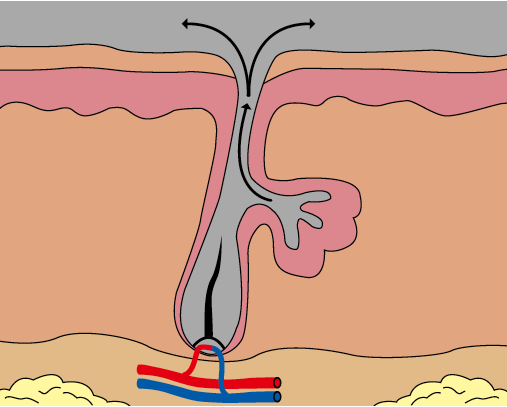 The opening of the follicle is wide making it easy for the sebum to exit the follicle (figure 1). 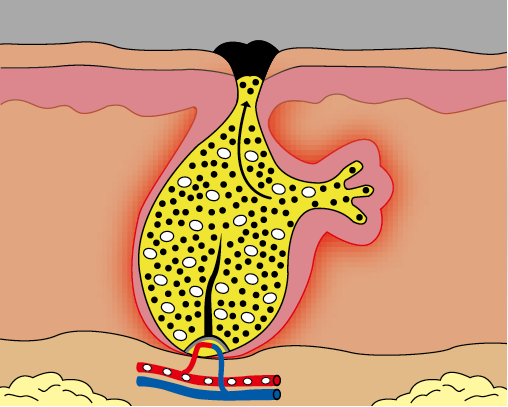 Spots are caused when the opening to the hair follicle is blocked, closing off oxygen and allowing the sebum to stagnate. This is the early stage of a spot known as a comedone (figure 2). This environment allows rapid growth of P. acnes, the bacteria that leads to acne. 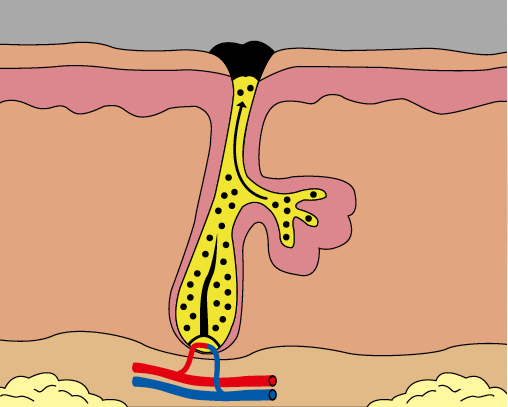 At this point the hair follicle becomes inflamed and red (a spot) and forms a pustule (figure 3). • Hair follicles can become blocked by excessive sebum on the skin and an accumulation of dead skin cells. • Some cosmetic products can block hair follicles. • Hormones can cause an increased production of sebum and an accumulation of dead skin cells at the follicle opening. In order to effectively fight spots, each stage of the spot development process needs to be tackled.